Meeska-Mooska-Mickey-Mouse! There's a mouse in the house and he's brought all his friends! If your little one is a Mouseketeer, just wait til you check out the Mickey Mouse Theme Party we just had for our two year-old, Ezzie. If you have browsed our site then you know we are a family who loves parties and we've had our fair share of them, many of which have been Mickey Mouse Theme Parties. From my son's party thirty years ago to my niece, Savannah's first birthday just a few years ago, Mickey has graced many a birthday events in our group. When Ez's birthday rolled around, we all knew what theme he would want Mickey Mouse and sure enough he did...but with a twist. He wanted all Mickey's friends to join the fun. So thus began the Mickey Mouse Clubhouse Party addition to our Mickey Mouse Party section. The party was actually just last week and it was so much fun we can't wait to share it with you. To quote Goofy, "Gawrsh, we sure had fun at the clubhouse. And now we get to have more fun! Yippee!" Join us in a recap of our journey to the Clubhouse. You don't have to worry that you'll be trapped with a Goofy party because we will give you all the Mouseketools you need to have an entire episode of fun. So let's get started..."Ooooh Toodles"! For this fun Clubhouse party, we used lots of the same ideas as we did for our Mickey Mouse Birthday so you can always click right on over and find some Mouseketools there yourself. Of course we added Mickey's Friends in the mix for the Clubhouse party like Minnie, Goofy, Donald and Daisy and of course, Pluto. Here are our favorite Mickey and Friends Party Pack from Birthday in a Box. It is a convenint way to get your supplies and can really save you time and money. You can easily add some frills on to the basics. You can also do a Mickey Roundup like we did where you collect everything Mickey in the house and use those things where you can rather than spending a raticulous amount of money on your Mickey Mouse Clubhouse Party . Spread the word, there's going to be a party at the Clubhouse! Once you have picked the date, time and place, it's time to give a big Mickey shout out to let everyone know about the big day. If you purchase a party pack, chances are invitations come with the set. You can, of course, purchase them separately. These are from Birthday in a Box. Matching Thank-You Notes are also available so might as well grab those too while you're at it. Tiny Prints has high quality custom ordered invites and runs great specials. You can take a picture of your little Mouseketeer with his or her Mickey Mouse ears on for a a fun flair or even standing by a Mickey Airwalker. Birthday in a Box offers personalized invitations too. Just send your photo and the party information and they do the rest. When ordering custom invitations, be sure to allow plenty of time for them to be created and mailed back to you and then for you to mail them out yourself. The Cardstore is one of our favorite places to order invitations because they have excellent quality and are always running specials. If you are feeling creative and have the time, you can make your own like we did. There are tons of ideas and instructions online. This is the one we chose. My daughter made these adorable invitations. How did she get the pieces cut so perfectly? She used a cricut which makes cutting a breeze. In fact, the cricut was also used for the party favor sacks and many of the decorations as it is with all of our parties. If you don't have one, let me assure you, it is worth the investment. And after the party, you can use it to scrapbook your Mickey memories! To make the invitation, simply cut out Mickey Mouse sillouettes using black cardstock paper. Cut out as many semi-circles from red cardstock paper and attach the very edges to the bottom part of the Mickey sillouette, leaving enough room to slip the white circle inside. Add yellow or gold buttons. Cut circles from white cardstock paper that are slightly smaller than the bottom of the black silloutte. Print the party information on by hand or you can print on the computer but if you do so, it is best to before cutting. When you have completed the invitations of your choice, slip them into the envelope and let your child help add in some confetti sprinkles and seal with Mickey stickers! We were told the historical Log Cabin was available though so I went and checked it out. This is what it looked like "before" the party. As you can see...we had a lot of work to do! The reason I posted the "before" pictures is to show you the blank slate which is most likely very similar to your own...blank! A man named Walt Disney said of Mickey Mouse years ago, "I just pulled out my sketch pad and he jumped on the page." Your party location can be magically transformed too. All you need is some creative contributions we will give you and a little imagination of your own. Of course Mickey and the Gang are standing by to help too! What we did first was to gather everything we had that had to do with Mickey and Friends as well as anything in the theme colors which for us was red, black and blue with splashes of other primary colors such as yellow, green and orange. Then, we figured out what we wanted but did not have and set out to find the best deals online for those things. WELCOME TO THE CLUBHOUSE! Come inside, it's fun inside!!! Be sure to greet your guests with a yard sign or birthday banner. Not only does it make them feel welcome, it makes the party location easier to spot. Unless your neighbors are particularly wanting to host a Clubhouse full of Mouseketeers, they will no doubt appreciate the jesture as well. Tie a few helium balloons on strings to really add to the air. I painted this sign to hang beside the log cabin's front door. We also had a sign with balloons in the front yard. The walls of this log cabin were, of course, made of logs and were absolutely awesome...for a Pioneer Day Party, that is. Not so much for a Mickey Mouse Clubhouse Party Party though. After the welcoming was taken care of, the next item on my list to purchase was a backdrop or two. For sure one of the quickest ways to transform your party place into the Clubhouse is to deck the walls. Lots and lots of props helped make the old log cabin into the House of Mouse. A Mickey Airwalker balloon added a nice air as did a Mickey swim float we just happened to have. We had some Mickey Mouse , Mini, Donald and Goofy plushes and bought a few more. We placed them on tables and wherever we saw a spot to fit. Kids love balloons so we filled the party area with plenty of them. You really can't have too many! We mixed theme mylars with latex ones for a mousetacular effect and tied them to curling ribbon of assorted bright colors. Some were tied to chairs and others to plushes and some we just let free float all around the room. Each guest got to take a handful of them home which was a big highlight. We purchased this helium tank so we didn't have to bother with transporting them. In the past we have rented a tank but the current helium shortage put a damper on that but as it turns out, we were quite pleased with the one we bought and didn't have to worry with returning the tank. Meeska-Mooska-Mickey Mouse... hip hip hooray for a nice air added to the cabin! It was beginning to look a lot more fun! Tables! We love decorating tables. They add so much to the decor of the party area that we use as many as we can like one for the cake and sweets, one for the beverages, one for snacks and food and one for gifts. Especially when the party is at a community center or rental location like the log cabin, we always spruce up the tables where the guests will sit too. To decorate your tables, start with a table cover. Usually I use at least one theme cover like this one and then some solids. We used three table covers on most tables except where the theme table cover was. We layered first black then red and folded a blue one for a table runner. You certainly don't have to use three per table, but it sure does look nice and table covers are a very inexpensive way to decorate. Of course there are no real rules when it comes to decorating your Mickey Mouse Clubhouse Party . But as a rule of thumb, when it comes to the tables you will want a centerpiece or focal point for each table. One with some height is perfect. A cupcake tower, a plush holding a handful of floating balloons or even the cake can be the main attraction on the table. You can always purchase a centerpiece like the one seen here from Birthday in a Box. We used this one. I like to use at least one that I purchase but I usually make the others just using what I can round up on my own. The Mickey Ultimate Pack actually comes with a centerpiece making it a super bargain when you take into consideration what the items cost individually. After setting up a focal point, you can then decorate the table. This is the fun part! What I did was gathered up everything I could find that pertained to the Mickey Mouse Clubhouse Party and got my daughter to do the same. We found Mickey, Minnie, Goofy, Donald, Daisy and Pluto plushes and so I sat them about on the tables. Theme partyware like plates, cups and napkins can be spread around and then place the food around too. We like making the food fun as seen in the photos below like arranging bowls of caramel sauce and apple slices in the shape of Mickey and labeling the crackers "Donald Duck Cheese and Quackers". A little imagination goes a long way in the Clubhouse! That's our tail on how to decorate the House of Mouse. Combine our tried and true techniques with creative contributions of your own and you are sure to have a winner! Icebreakers are games to help the children get to know one another and warm up to the party. Since this party is mostly for youngr children, we kept it really simple. Check out our super fun Clubhouse ideas below! Once the guests have arrived, gather them around in a circle. Go around the room and have each child put on their Mickey Mouse party hat say his or her name. As each guest does so, the rest of the group will cheer! If the children are too little to say their own name, you can introduce them. Bubbles...bubbles...everywhere bubbles! Nothing warms kiddoes up like bubbles. We puchased a Mickey Mouse Clubhouse Party bubble machine that doubled as a gift too. The little ones loosened up right away when we turned it on. Oh, and don't forget to play some Mickey music like "Welcome to the Clubhouse". Before long the little ones will be singing and dancing so be sure to have the camcorder handy! When it comes to toddlers and preschooler games, we like to use the KISS rule... Keep It Super Simple! Games are fun at little tyke parties but attention spans are short. Set out a big red bucket (or color of your choice) and let each player take several turns trying to toss a Mickey Mouse bean bag inside. You can move the bucket closer or further away depending on the age of the individual player. No party is complete without a pinata so be sure to order one for yours. They are always a smash! We always let the smallest children go first and the bigger ones last to give the little tykes a chance to bust it. You can get pull string pinatas or the kind you have to bust. With toddlers, the pull atring seems to work best. Before the festivities we pass out loot bags so the kids can put their share of candy in them. A pinata can be done inside or out. Be sure to have a rope or something to hang it with and something to hit it with as well. This is a spin off the classic "Pin the Tail on the Donkey" game. You can easily and inexpensively make this game by downloading a picture of Minnie Mouse and attaching it to a posterboard. Print out bows too, one for each player or you can even make your own bows from red and white polka dot ribbon. Attach some double-sided tape on each bow. Let the players take turns getting blindfolded and attempting to pin the bow on Mickey. Whoever gets the closest to where her bow should go, wins! The kids especially love this game and it's oh so easy! We used a splashtable we already had but you can purchase one which can double as a great gift or improvise by using something like a plastic under the bed storage container. Fill the container with a small amount of water, just enough for the toys to float in. Place Mickey and Friend tub toys in the water, doing your best to keep them right side up, and let each child take a turn getting one out of the water. The player gets to keep his or her "catch". 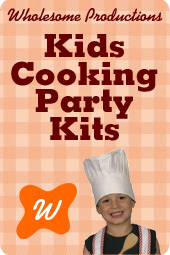 You will want to provide some activities for the kids and for your own sanity. Since our birthday boy has a big brother who also has birthdays, a few years ago we decided to purchase a Bounce House . It has been the best investment ever! Sometimes we add a twist and fill the area with plastic balls or balloons, especially when there are really young ones getting in. Do be sure to have an adult "man" the bouncehouse who will inform the children of the rules and oversee that they follow them. It's nice to let the children take a break to rest up and what better way to do so than to put on a movie like Mickey Mouse Clubhouse Party: Whose Birthday Is It?. Throw down some pillows and blankets and toss over some Mickey and Friends plushes. If you want to go all out, pass out some popcorn too! Here's a Mouseketoodle for you! This is a really fun homemade version of silly putty. You can make this a day or two before the party. Mix the glue, starch, and food coloring together until well mixed. Putty must dry a bit before it is workable and you may have to add a bit more glue or starch. You can experiment with it to see if it is the right consistancy. Store in airtight container or containers. Bring the Mouseketeers to life with tunes straight from the Clubhouse. The little ones enjoyed the music at our party but I think we enjoyed watching them enjoy it even more. You'll bve surprised how many of them will sing along and know every word. It was such a hit, we kept the music going for the remainder of the party. Amazon has tons of CDs to choose from like Mickey Mouse Clubhouse: Meeska Mooska Mickey and you can rest assured not only will they be fun at the party but your mini Mickey fan will listen to them over and over again thereafter. The little Mouseketeers will work up a big appetite with all the fun they will be having so feed them in true Clubhouse style with our fun ideas below. If your party falls around mealtime, be sure to serve some filling foods. Prepare the dough as directed but shape each roll into mini buns. Bake until done and cool then put one Vienna Sausage into each one. You can easily print out a sign like we did and set mustard and ketchup bottles out as well. This is a really fun and easy main dish mouse-meal. Simply prepare two small and one large frozen pizzas (or make your own) and display them to look like Mickey. It's Mickey's favorite...CHEESE! Use a Mickey Mouse cookie cutter to cut assorted cheese slices. We had ours sliced medium thick in the deli section. Oh yeah...gotta satisfy the sweet tooth and in the Clubhouse, there's plenty of them! These were a sure favorite! Here's how we did them. Melt Wilton Milk Chocolate Melts and pour into Wilton Mickey Mouse Candy Mold. Add in a sucker stick while still warm then tap the bottom of the mold on the countertop to release any bubbles. Place in freezer for a few minutes to make it easier for them to come out. Tip the mold over to release the suckers. Trim up with small knife. Place each sucker in a cello-wrap and tie with alternating black and red curling ribbon. Make Sugar Cookies with our recipe or your own and while they are still warm, top with Mickey Mouse sprinkles. We used some of the leftover sprinkles to scatter about on the food tables! Whip up a batch of our Shortbread Cookies and shape with Mickey Mouse cookie cutters. Bake and enjoy! You will need one box of large Ritz peanut butter filled crackers and one box of the minis. Take two minis and place on one large for Mickey ears. Dip in red Wilton Candy Melts. You can place a sucker stick in if you would like. You can use other colors instead or in addition to the red and another option is to purchase white and color your own. Of course every child's favorite part of the party is the cake so be sure yours is a mouse-ter-piece! You can order one from a bakery, boutique or even pick one up at the grocery store or you can opt to make it yourself. If you are going to do one yourself, you can go a the express route if you are pressed for time, or spring for one of the more involved ones like we did. Talk about a Mouseketool! This Mickey and Friends cake topper is quick, easy and so adorable. Simply bake up your favorite cake mix or homemade recipe, cool, frost and top with this great topper. Here ya go! Ez's other Grandma made this adorable cake. Just bake your favorite cake in this Wilton Mickey Mouse Clubhouse Cake Pan and bake according to the directions. The pan will also come with decorating instructions. Be sure to use Wilton Coloring as it is by far the best and is the only one we have found that gets dark colors dark and bright colors bright. Got your ears on? These cupcakes were as fun to make as they were to eat! And they are easy too so let your birthday boy or girl join in to help. Bake up some cupcake and frost with our white frosting. Add on some thin mint cookie for Mickey's ears or...do like we did and use vanilla wafers dipped in black Wilton candy melts. Since cupcake liners tend to loose a bit of their color after baking, my daughter made these wraps with her cricut! Here are our picks from Amazon that might help you in your baking memories. There are tons of Mickey Mouse cake and cupcake ideas online and you will find more super fun ones in our Mickey section too. Children love costumes so dress your party for success with these fabulously fun outfits. Everyone can join the fun, even a Grandma! When the party's over, send them home with a Mouseke-smile! First of all, you will want to pick a container to put the party favors in so you know how many treats will fit in them. My daughter made these from black lunch sacks and cardstock paper she cut with her cricut. Simply cut black ears to glue onto the sack and then a red rectangle and white circles as seen at the bottom. Fill with Mickey and Friends goodies and you have a departure gift all the Mouseketeers will love. From personalized items like buttons and stickers to everything Clubhouse, Birthday in a Box has your treats covered. You can even get them already packaged up for you. Here are some great favors from Amazon too! So there you have it, all the Mouseketools you will need for your Mickey Mouse Clubhouse Party so you can bring the Clubhouse right into your living room or even a log cabin just as a six foot rodent was magically transformed one day into everyone's favorite mouse. Walt Disney himself said thatMickey Mouse just jumped onto the page and may these party ideas do the same for you as you prepare for making minnie mouse-tacular memories that are sure to last a lifetime. NOTE: For more fun ideas, check our Mickey Mouse Theme Party!